Sometimes you need a quick fix and installed the same day. Let's measure first before you head to pick up something ready-made. Ready-made drapery panels are all the rage now. Let's measure for rods and panels before you buy. You choose what you need help with. Are you stuck in the middle of a DIY project? 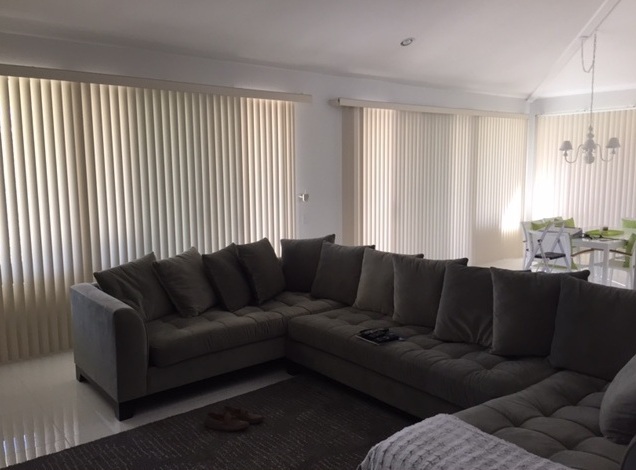 Did you order your blinds somewhere and need an installer? 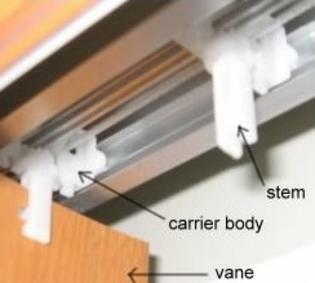 Do your blinds need to be restrung? Whatever you need, give me a call. of experience do the job. 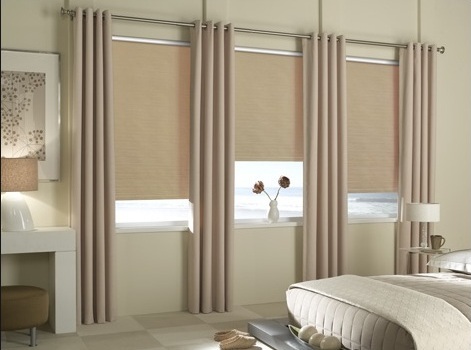 The latest trend: Roller shades and ready made drapery panels with decorative rod. Inexpensive, quick, and easy to do. shades and replace cord pulls on the job site. made graphic design vertical blinds. The proud owner of this iconic vintage piece of history loves watching sunsets through the circular illusion. He called me for help replacing the aging head rail and cracked valance. I was so proud to be a part of it! It brought back so many memories of my early days in the business. 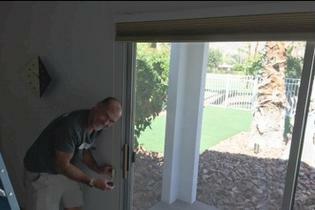 These exterior motorized shades got out of alignment and guess who fixed them? If you need exterior roller shades we know the best shops in town for the job. 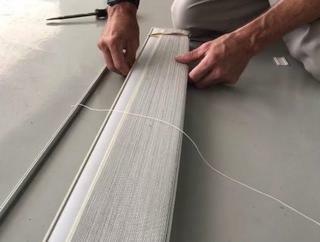 Repair vertical blinds on site. Meet the drapery seamstress to the stars! 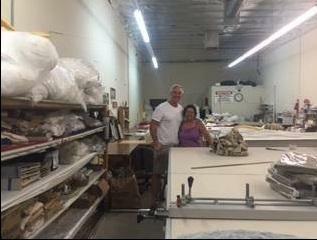 I'm happy to recommend this custom drapery workroom for custom draperies. 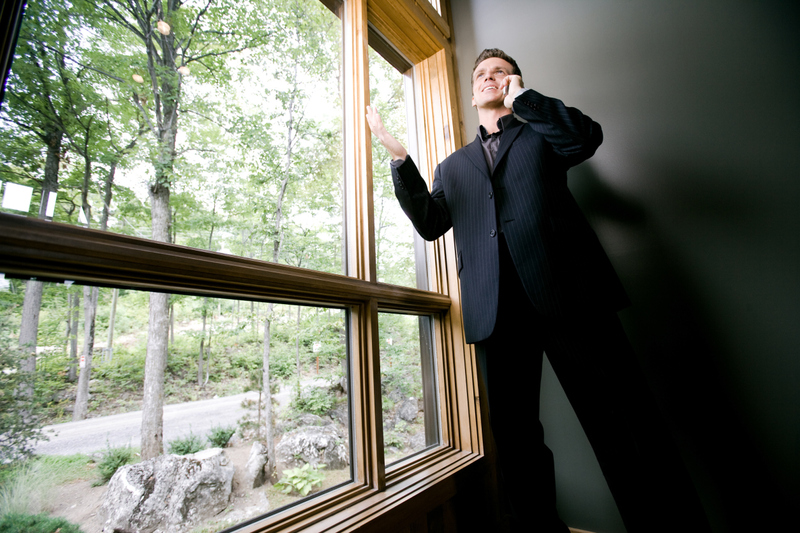 Have your windows professionally measured first. 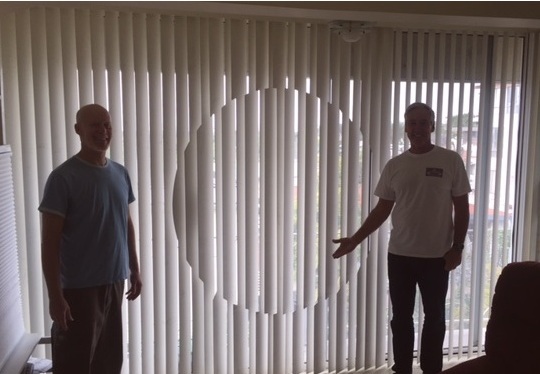 There are little nuances to how window coverings are measured. We're happy to help measure before you order and make a mistake. Then when we install the'll fit perfectly! 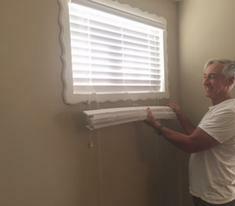 If you've ever purchased ready-made blinds the big box stores will cut the width but not the length, leaving a lot of extra slats at the bottom. 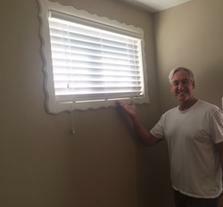 Believe it or not, we can sell you custom blinds for about the same price once you factor in $25 per blind to shorten and $15 to install. Give us a call for a free quote. 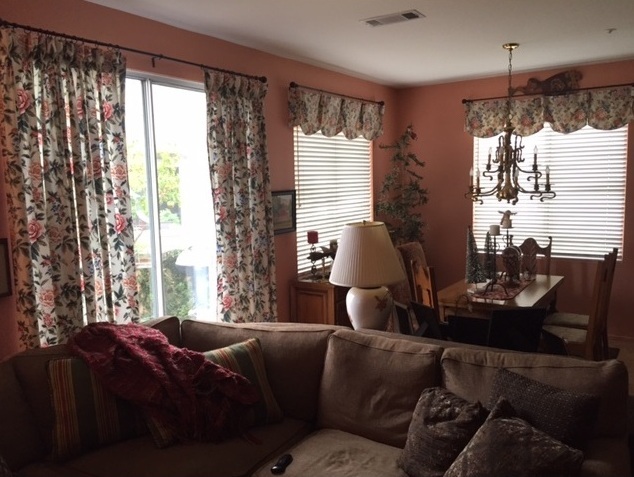 Roller Shades Before & After: Hard to believe it's the same room but look closely. 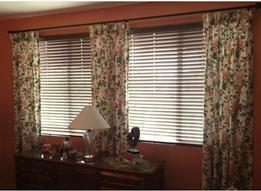 The pic on left had old mini-blinds. 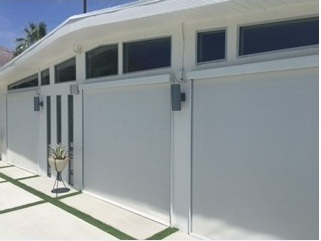 The pic on right shows new privacy roller shades in a blue slate color with anodized aluminum fascias.. It really transformed this office. and decorative rods purchased from Bed Bath & Beyond. Honeycomb cellular shades stack nicely. all your new window treatments. We repair continuous cord loops on honeycomb shades on the job site. Client supplied Schumacher fabric she had purchased. We had our drapery workroom make these beautiful draperies for her and installed them on bronze decorative rods. 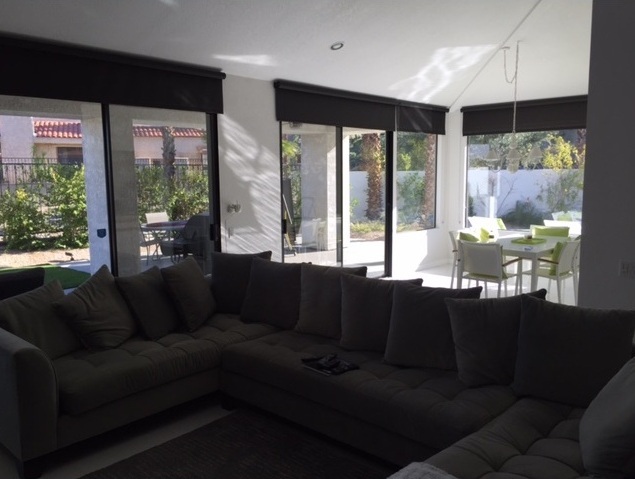 beautiful ebony roller shades to the ceiling on black aluminum framed sliding glass doors. steel chain. We offer Somfy motorization too. Let the light shine in but control it!